President Barack Obama and vulnerable Democrats facing tough midterm elections in 71 days are scrambling to prop up the moribund U.S. economy in the minds of disgruntled voters. However, one of the quickest shorthand economic measurements–food stamp enrollments–paints a startling portrait of the “new normal” in the Obama economy. According to the Department of Agriculture’s most recently released data, the number of individuals enrolled in the food stamp program (known officially as the Supplemental Nutrition Assistance Program, or SNAP) has remained above 45 million every single month for three years straight. In May 2011, 45,410,683 individuals received food stamps. 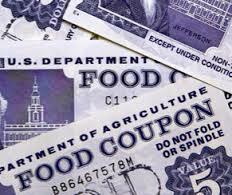 As of May 2014 (the most recent date for which data are available), 46,225,054 people were on food stamps. At no point between the two dates did the number of food stamp enrollments ever fall below the 45 million mark. Food stamp enrollments have soared due to President Barack Obama’s categorical eligibility provisions, aggressive enrollment marketing, a bleak economy, and intense lobbying by large corporations who bag millions of taxpayer dollars as food stamp enrollments climb. Indeed, a report by the Government Accountability Institute (GAI) found that JP Morgan bagged well over half a billion dollars ($560,492,596) since 2004 processing the Electronic Benefits Transfer (EBT) cards of 18 of the 24 states it holds contracts with. Still, despite historic levels of Americans now dependent on welfare, and with the middle class poorer now than it was in 1984, Obama continues to claim that his economic policies have made things better. “Since I have come into office, there’s almost no economic metric by which you couldn’t say that the U.S. economy is better,” Obama said in an interview this month with the Economist. CNSNews.com) – In 20 percent of American families in 2013, according to new data released by the Bureau of Labor Statistics (BLS), not one member of the family worked. Of the 80,445,000 families in the United States in 2013, there were 7,685,000—or about 9.6 percent—in which at least one family member unemployed. The BLS has been tracking data on employment in families since 1995. That year, the percent of families in which no one had a job was 18.8 percent. The percentage hit an all-time high of 20.2 percent in 2011. It held steady at 20 percent in in 2012 and 2013. The data on employment in families is based on Census Bureau’s Current Population Survey of the civilian noninstitutional population, which includes people 16 and older, who are not on active duty in the military or in an institution such as a prison, nursing home or mental hospital.